Join Tori Wright in a discussion about the healing effects of cannabis and the various ways to utilize it for your desired outcome. Topicals,Extracts, Medibles, Smoking, and even pill form; there’s so many ways to use cannabis it can be confusing what is right for you. 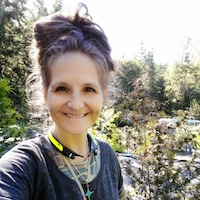 Tori will share some of her success stories in treating cancer, tumors, open wounds, brain injuries and more while giving insights on how to approach the healing process with cannabis. Tori will also talk about concerns with Oregon Medical Program’s future and what we can do to ensure that there is a separation between Medical & Recreational Markets for the benefit of patients. You won’t want to miss this passion filled discussion for the Love of Medical Marijuana!